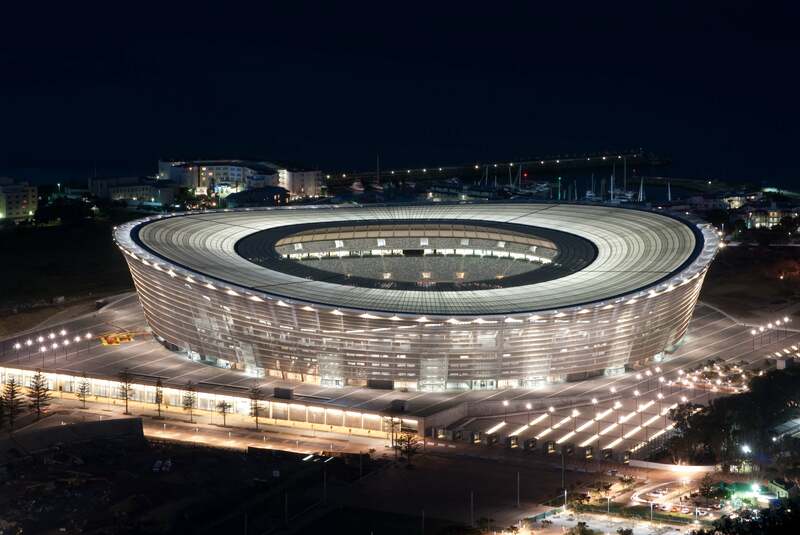 As part of the POINT Architects and Urban Designers joint venture, Paragon Architects focussed mainly on the design of the roof of the Cape Town Stadium. Nestled between the undulating cityscape of Cape Town and the Atlantic Ocean, the stadium has proved to be one of the most enduring images of the World Cup. 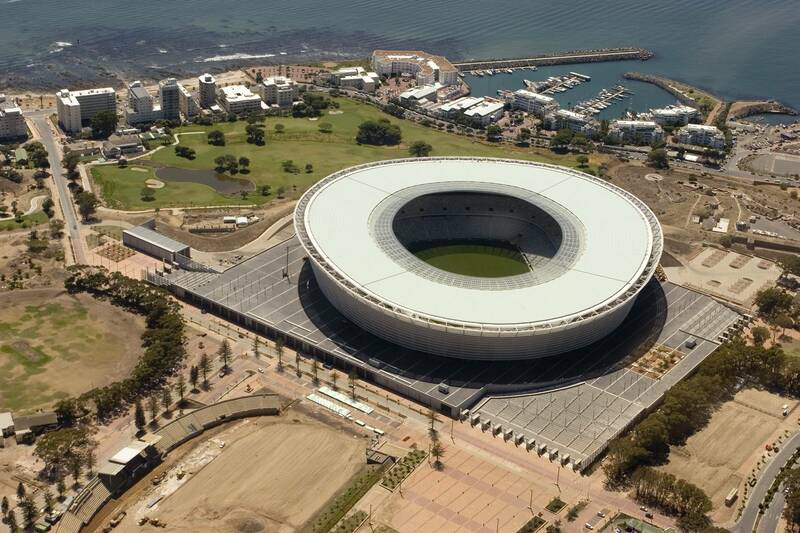 On 15 September 2010, the Cape Town Stadium triumphed across all categories in the prestigious South African Institute of Steel Construction Awards. The project was commended for its contribution to skills transfer and development in local construction. It also garnered praise for the way in which all engineering and architectural challenges were overcome to deliver this daunting project on time for the global soccer showpiece. The project as a whole also won the German Steel Building Award, the ‘Deutscher Stahlbaupreis 2010’, as well as the 2010 CESA (Council of Engineers South Africa) award for Best Lighting Project. 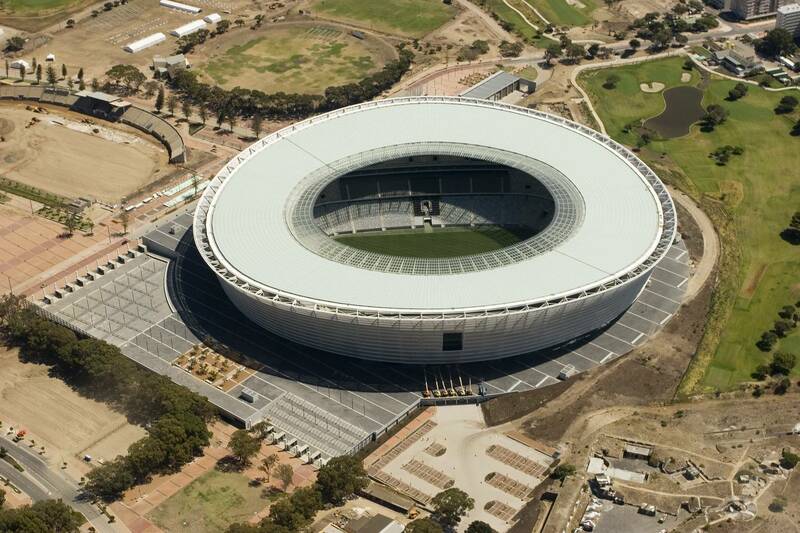 The stadium has a permanent seating capacity of 50,000, and 2,000 underground parking bays. The bowl of the stadium rests on a raised podium, which doubles up as a promenade that overlooks the Green Point Common. The main forecourt is designed to align with the long term vision for the development i.e. to enable the hosting of gatherings and markets between or during stadium events. The main forecourt is connected to two other forecourts by intersecting bicycle and pedestrian routes. The stadium’s roof weighs 4,700 tons and is the largest cable supported glass structure in the world. It consists of almost 9,000 pieces of glass, which are supported by 72 cables of 98mm diameter. The compression ring was manufactured in Kuwait. It consists of 11m elements of an average weight of 27 tons, made to a tolerance of 0.6mm at 40 degrees of heat. The underside of the roof is covered by an ETFE membrane – the first time that this durable material was used in South African construction. This unique application of membrane technology is flexible enough to allow the roof to move up and down by as much as 2m during high winds and expand by 1.2m over its diameter. Due to its visibility from tourist hotspots like Table Mountain, the stadium’s integration into the surrounding landscape was an important design consideration. The roof was envisaged as a fifth façade and is visible from surrounding residential and commercial areas. At night, soft internal illumination creates a subtle presence and a fitting addition to the dark silhouette of Table Bay.